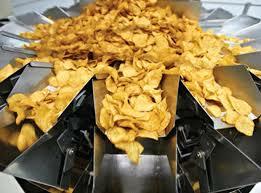 Crisp manufacturer Fairfields Farm has won a £99,978 investment. grant from the European Agricultural Fund for Rural Development (EAFRD), to assist with continued expansion. Farm has also hired five new members of staff as a result of this investment. The grant also contributed to the investment in a new frying and product handling system. The investment would help the firm grow market share in Britain – fuelled by renewable energy generated on site using anaerobic energy – claimed Fairfields Farm. Meet the demand from its customers Its founder Robert Strathern said the grant enabled the company to make the changes and upgrades that were required to meet growing demand from its customers. “We’re currently investing heavily in our production and [new product development] and this grant, along with our Grade A BRC [British Retail Consortium] inspection, will make a huge difference to the business going forward,” said Strathern. Established in 2006, Fairfields Farm grows its own crisping potatoes, which are hand cooked on site. The company was recently awarded an A grade accreditation from the BRC. Exports to about 20 countries It exports to about 20 countries including Mauritius, Hong Kong,Singapore, Thailand, Russia, Dubai, Germany, Norway, North America and Canada. As well as its potato crisps, Fairfields Farm began producing vegetable crisps in 2013 and lentil snacks last year. It also produces a range of tortilla chips. Meanwhile, last month PepsiCo announced it was offering £256,085 (€300,000) in grants to food and drink entrepreneurs in a bid to grow eight breakthrough brands.